“Ride Control” have you heard it? No, ok let’s try it again with local market name “Shocker” or “Shock Absorber” yeah now you got it, when we talk about the driver and passengers comfort we usually refer to the suspension system of a vehicle as in our article on suspension system we cleared our doubt that suspension is not just spring and damper, it is just a part of suspension so today in this article we will discuss what is shock absorber? 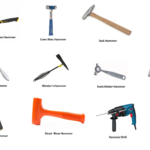 , how does it works and what are the functions of a shock absorber? So let’s just begin. 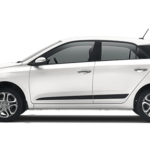 A shock absorber is a component of a suspension system that not only absorbs shocks provided by the road conditions but also maintains the road and wheel contact throughout the ride which in turn provides comfort, safety and also the dynamic ride control to the vehicle. It is the assembly of spring and fluid filled damper that is placed in between wheels and the frame of a vehicle in such a way that it absorbs the shock provided by the road surface before further sending it to the frame of the vehicle and also the stiffness of the spring used, helped the vehicle in maintaining the surface contact with the road. Why We Need Shock Absorber? 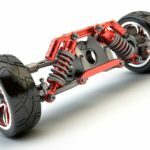 As we all know that a shock absorber is a part of suspension which is used as a flexible linkage between wheels and the frame of the vehicle but why do we need this? So let’s find out. As we all know that the road conditions in countries like India are not continuously smooth, we often face many bumps and pits in a single ride which makes it necessary for a vehicle to be equipped with a system that can absorb these bump and pit shocks to make the ride comfortable for the driver and the passengers. Sometimes the magnitude of these road shocks are too high that if it is directly transmitted to the frame then it can overcome the ultimate strength of the frame material which in turn can cause failure or deformation in the frame which is not desirable. So we need shock absorber which can absorb these high magnitude road shocks before transmitting it to the frame. For the stable ride or dynamic stability of a vehicle it is required to maintain an effective surface contact between tyres and the road throughout the ride, this throughout surface contact is provided by the spring having suitable stiffness of a shock absorber assembly. When vehicle goes on a sharp turn due to the centrifugal force provided by the curve of this turn the vehicle always tends to roll through its roll axis which needs to be minimised so we need a stiff shock absorber that can minimise this vehicle roll and keep the vehicle stable and under control of the driver. 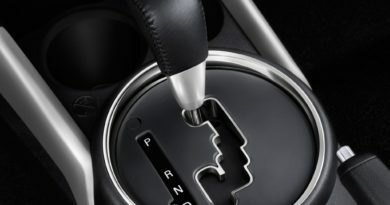 At the time of braking due to the load transfer from rear to the front, the vehicle always tends to pitch which is not desirable, so we need a stiff shock absorber that can absorb this pitching force and makes the vehicle stable which in turn makes the braking effective. 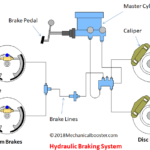 The use of shock absorber between the wheel and the frame provide the symmetry to the force transmission from the wheels to the frame which in turn prevents the mechanical failure of a suspension system. It is the type of shock absorber in which 2 hollow tubes named primary tube and secondary tube or shell are used which are merged together in telescope type fashion i.e. primary tube inside secondary tube or shell. The primary tube contains the moving piston, compression valve along with other assembly components and is filled with high viscosity index oil. The secondary tube or shell contains the primary tube along with low pressure gas (mostly nitrogen gas). This whole assembly of twin tube is surrounded by a coil spring that provides the stiffness and also helps this assembly to regain its initial position after actuation. It is the type of shock absorber in which instead of double tube, a single tube is used inside which the moving piston is placed. High viscosity index oil along with the low pressure gas (nitrogen in most cases) is filled inside a single tube in a particular proportion. The oil and gas filled inside this single tube is separated by a floating piston which is placed airtight inside the tube. This whole assembly is surrounded by a coil spring same as twin tube shock absorber. (i) Tubes: As we discussed above in twin tube shock absorber 2 tubes i.e. primary tube and secondary tube or shell are there in a telescopic fashion. (ii) Piston: In this type single piston having air tight arrangement along with a rebound valve at one end is used which is merged inside the primary tube and can move too and fro under the action of force provided by the road shock. Compression valve- Used at the bottom most surface of the assembly for entry and exit of shock absorber oil from primary tube to the secondary tube, this entry of oil from primary tube to secondary tube is allowed at a certain compression pressure provided by the moving piston. Rebound valve- Used at the bottom surface of the piston to make it air tight and also to push the oil from primary tube to secondary tube under the action of road shocks. High viscosity oil- Filled inside the primary tube working chamber and is used to absorb road shocks. Low pressure gas(nitrogen gas)- Filled inside the secondary tube or shell and is used to absorb the heat generated by the compression of the high viscosity oil under the action of road shock. This low pressure gas also help to push back the oil from secondary tube to the primary tube after complete compression of the piston i.e. also provides rebounding. (i) Tubes –Unlike twin tube mono tube shock absorber uses single tube inside which all the arrangements are made. Main piston – Same as twin tube piston. Floating piston- it is the floating type of piston used to separate the oil and gas inside the mono tube shock absorber. (iii) Valves –In mono tube instead of 2 valve single valve having 2 functions( rebound valve and compression valve) is used which is attached to the working side of the main piston. (iv) Working fluid- Same as twin tube 2 working fluids that are high viscosity oil and low pressure gas are used in it. (v) Coil spring- Same as the twin tube. Due to this shock the piston inside the primary coil moves and start compressing the high viscosity oil filled inside the primary tube. After completion of this compression inside primary tube the compression valve opens up and this compressed oil start moving from primary tube to the space in secondary tube which is already filled with low pressure gas. This compression and movement of the oil from primary tube to the secondary tube absorbs the shock by converting the compression force into heat energy. This heat produced by the oil compression is absorbed by the low pressure fas filled in surrounded secondary chamber. 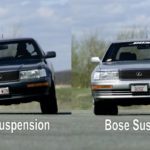 The coil spring attached also compresses during this process and after completion of the bump it rebounds back to bring system to their initial state. Also After the completion of the bump the oil which is filled in secondary tube is pushed back to the primary tube . Due to the bump shock the piston inside the tube starts moving or compressing the oil filled inside the tube’s working chamber. Due to the compression of the high viscosity oil the absorption along with conversion of into heat of the road shock takes places. During this compression of oil the floating piston placed inside the tube also starts to move. 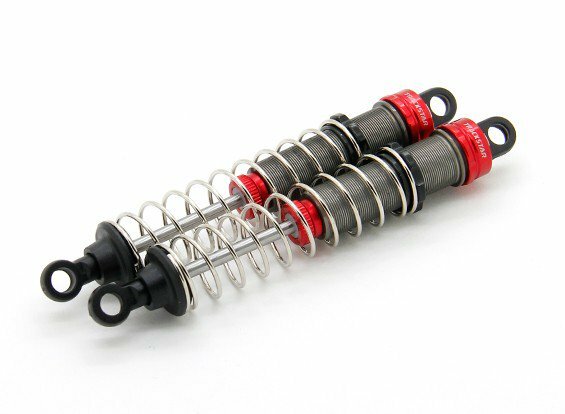 During this action of shock absorbing the coil spring attached to the surrounding of this mono tube shock absorber also compresses. After the completion of the bump the coil spring rebounds and the releasing of shock absorber takes place i.e. 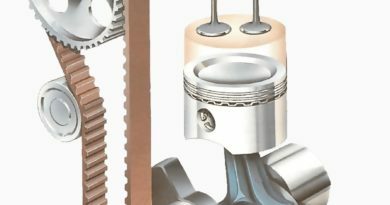 the piston starts moving back to its initial position due to which expansion of oil takes place. Due to this releasing the floating piston also start moving towards its initial state and expansion of low pressure gas also takes place.